Warsaw Old Town is the oldest historical centre of Warsaw which dates back to the 13th century. It is bounded by Wybrzeze Galanskie along the bank of the river Vistula, the streets of Grodzka, Mostowa Podwale and is one of the most prominent tourist attractions in Warsaw. At the centre of the town is the Old Town Market Place, a beautiful market square with several restaurants, shops and café while the surrounding streets comprises of medieval architecture like the City Walls, the Barbican and St. John’s Cathedral. The largest part of the Old Town had been destroyed at the time of the Second World War but was thereafter reconstructed. The construction was done is such a precise manner that it left no traces of the war or that it had been rebuilt. The Old Town is also a great location to purchase souvenirs since most of the souvenirs stores are located here in Warsaw. 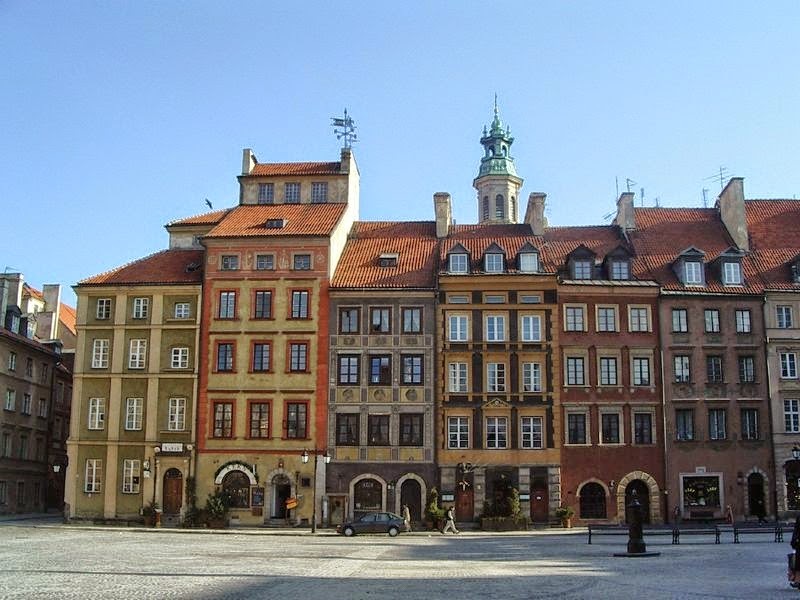 This town has been honoured by UNESCO in 1980 who added the Warsaw Old Town to its list of World Heritage Sites. The Old Town Market Place the main centre of the Old Town dates back to the end of the 13th century and till the end of the 18th century was the heart of the whole of Warsaw where the representative of guilds as well as merchants assembled in the Town Hall and where fairs and some execution took place. This Hall was built prior to 1429, though it was pulled down in 1817 and the houses which surrounded it represented the Gothic style till the great fire in 1607 which was thereafter built according to late Renaissance style. The Royal Castle is an excellent example of the Baroque style which was built in the 14th century. King Zygmunt III Waza, in 1569, shifted his residence there when Warsaw was the capital of Poland and between 1598 and 1619; he had the caste restyled as a polygon by an Italian architect. Towards the 18th century, King Augustus III revamped the east wing to Baroque style and King Stanislaw Poniatowski added the Royal Library. The Royal Castle was a residence as well as hosting session location for the kings of the Sejm – Polish Parliament. Presently it serves as a museum with display of furniture, famous paintings together with several great works of art and its amazing interiors contain various original furnishings, paintings, statues and other objets d’art. One will also find works of Bernardo Bellotto and Marcello Bacciarelli among the several paintings. Most of the buildings in the Old Town are a blend of various styles from Gothic to Baroque, a unique and old style of architecture. Other attractions are the various churches, Fukier House, Pelican House, Pod Blacha Palace, Salvator House, besides the City Walls and the Barbican. The Barbican which was built in 1548 is located where the Old Town merges into the New Town and serves as an access gate for the Old Town. It is amalgamated directly into the Warsaw City Wall surrounding the Old Town. Most of the Warsaw Old Town Wall survived since it was built in the 14th century and it took the workers around 200 years for completion.